What do you do next, after you’ve changed the world? It is 1928. Matilda Simpkin, rooting through a cupboard, comes across a small wooden club – an old possession of hers, unseen for more than a decade. Mattie is a woman with a thrilling past and a chafingly uneventful present. During the Women’s Suffrage Campaign she was a militant. Jailed five times, she marched, sang, gave speeches, smashed windows and heckled Winston Churchill, and nothing – nothing – since then has had the same depth, the same excitement. Old Baggage is a funny and bittersweet portrait of a woman who has never, never given up the fight. 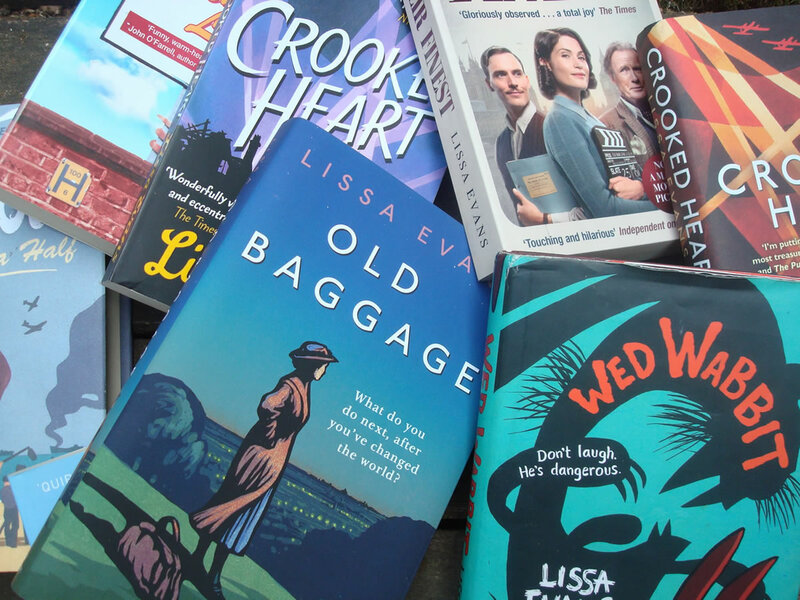 Old Baggage by Lissa Evans was published by Doubleday in hardback on 14 June 2018, the paperback edition will be published in December. My thanks to the publisher who sent my copy for review. Readers who've read and enjoyed Lissa Evans' Crooked Heart, published in November 2014 will be delighted, as I was, to find that Old Baggage is Matilda 'Mattie' Simpkin's early story. We meet Mattie as she fights off an attacker on Hampstead Heath and inadvertently injures a young woman whilst doing so. That woman is Ida Pearse who is angry and threatens to take legal action against Mattie. Mattie's friend and greatest ally; Florrie 'The Flea' comes to the rescue and offers Ivy work as the housekeeper in the home that Mattie and Florrie share. Mattie is feeling her age, and the 'old baggage' of the title could easily be how she sees herself, just as it could also be the amazing life she led as a younger woman. Mattie fought tirelessly for women's rights, she spent time in jail, she went to university when women were not awarded degrees. She's had an incredible life and is determined to carry on her work. When Mattie meets an old acquaintance who seems to be favouring the new wave of fascism and has set up a club to encourage this, she decides it's time to set up a new group; to encourage younger women in her views. She's been especially dismayed by Ida's lack of knowledge regarding the rights of women. Holding both of the group meetings in the same venue can only lead to disaster and it's not long before confrontation happens. Lissa Evans is such a talented author. Her characters are delightful, and I was especially fond of Florrie who is such a support to Mattie, with the same views but a very different way of dealing with them. Her work as a Health Visitor shows the hands-on, caring nature that she has and I found her to be less abrasive and hot headed than Mattie. 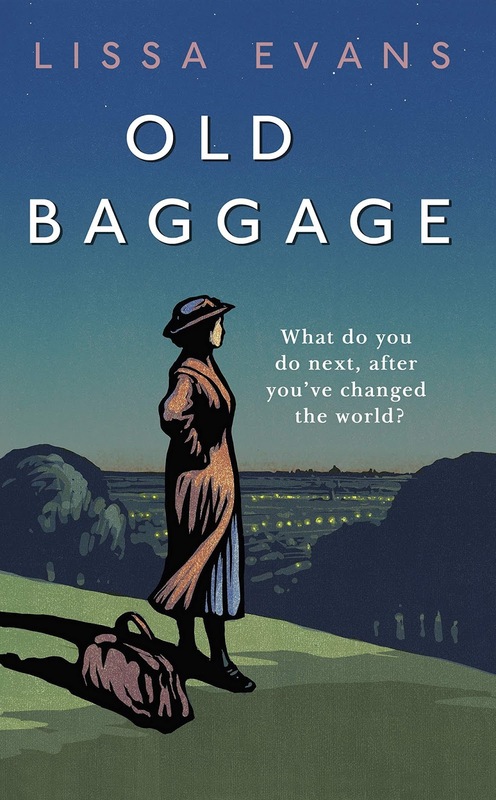 Old Baggage is the perfect novel for 2018; one hundred years on from the suffragette movement and gives an incredible insight into what those brave and committed women went through so that our generation can live more equally today. Lissa Evans writes with charm and with humour. Her observations are vivid and colourful and her characters are a delight. This is a courageous and touching story, I enjoyed it very much. 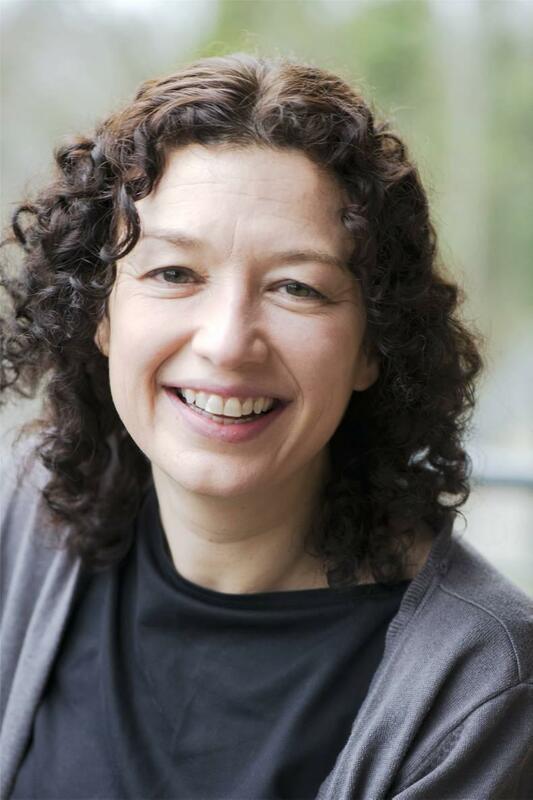 Lissa Evans has written books for both adults and children, including Their Finest Hour and a Half, longlisted for the Orange Prize, Small Change for Stuart, shortlisted for many awards including the Carnegie Medal and the Costa Book Awards and Crooked Heart, longlisted for the Baileys Women's Prize for Fiction. In the early hours of 14 June 2017, a fire engulfed the 24-storey Grenfell Tower in west London, killing at least 72 people and injuring many more. An entire community was destroyed. For many people affected by this tragedy, the psychological scars may never heal. Post-Traumatic Stress Disorder is a condition that affects many people who have endured traumatic events, leaving them unable to move on from life-changing tragedies. In the immediate aftermath of the fire, the focus was rightly placed on providing food, shelter and health care for those left homeless – but it is important that we don’t lose sight of the psychological impact this fire will have had on its survivors. 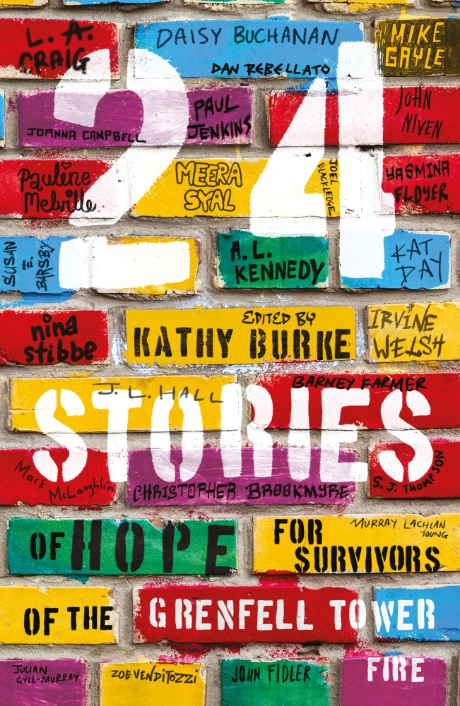 24 Stories is an anthology of short stories, written on themes of community and hope, by a mix of the UK’s best established writers and previously unpublished authors, whose pieces were chosen by Kathy Burke from over 250 entries. Contributors include: Irvine Welsh, A. L. Kennedy, Meera Syal, John Niven, Pauline Melville, Daisy Buchanan, Christopher Brookmyre, Zoe Venditozzi, Nina Stibbe, Mike Gayle, Murray Lachlan Young, Barney Farmer. 24 Stories: of Hope for Survivors of the Grenfell Tower Fire is edited by Kathy Burke and was published in paperback by Unbound on 14 June 2018. As soon as I saw this book on Twitter I bought a copy. Not only will sales raise funds for the survivors of the dreadful tragedy that is the Grenfell Tower, it also contains stories from some of my favourite authors. The brief for authors was that the story had to be uplifting, positive and hopeful. There are 24 stories, one for each of the storeys of Grenfell. The book begins with a foreward written by Dr Dean Burnett in which he explains, in simple but effective language, Post Traumatic Stress Disorder. I'd advise everyone to read this forward before going on to read the stories, it's informative and explains so much about PTSD, and as Dr Burnett has lived with the condition himself for many years, he's the perfect person to write this piece. As with most short story anthologies, I enjoyed some of these more than others. The opener, from Nina Stibbe; 'The Language of Flowers' is a fabulous beginning from an author who I really admire. 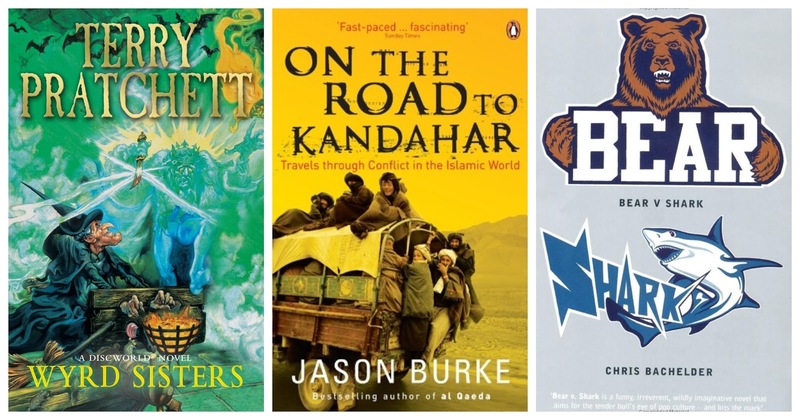 I also really enjoyed the contributions from Joanna Campbell, Christopher Brookmyre and Mike Gayle. 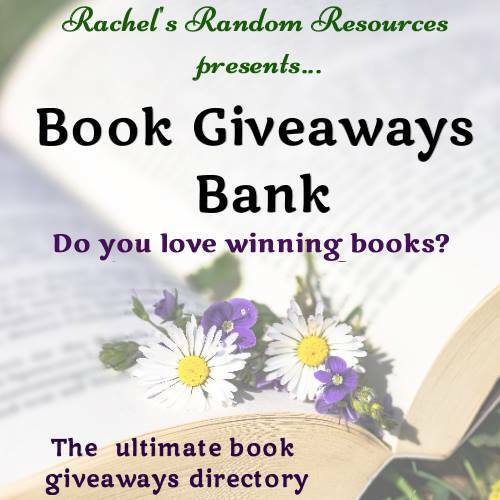 The beauty in this collection is the eclectic mix of authors and writing styles, and that the subjects are ordinary people; just like those affected by the fire. Some are funny, all are poignant. 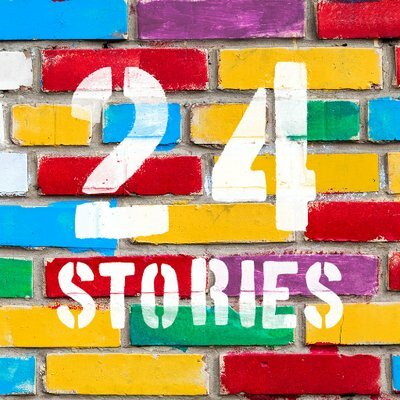 24 Stories is an anthology in aid of the PTSD-related needs of the survivors of the Grenfell Tower fire on 14 June 2017. 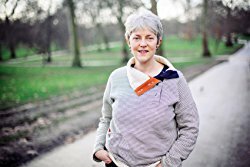 It is a collection of works, written on themes of community and hope, by a mix of some of the UK's best established writers and previously unpublished authors. It was compiled by Kathy Burke, Paul Jenkins, R Martin and Steve Thompson in response to the fire, and published on the first anniversary of that tragic event. December in Glendara, Inishowen, and solicitor Benedicta 'Ben' O'Keeffe is working flat out before the holidays. But on a trip to Dublin to visit her parents, she runs into Luke Kirby - the man who killed her sister - freshly released from jail. On the surface he appears remorseful, conciliatory even, but his comment as she walks away makes her realise he is as foul as ever. Back in Glendara, there is chaos. 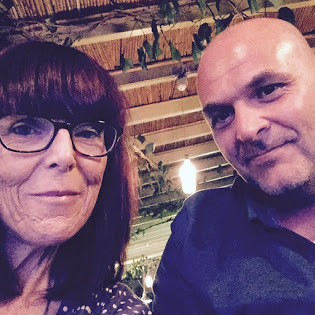 The Oak pub has burned down and Carole Kearney, the Oak's barmaid, has gone missing. And then, while walking the dog up Sliabh Sneacht, Ben and her partner, Sergeant Tom Molloy, make a gruesome discovery: a body lying face down in the snow. Who is behind this vicious attack on Glendara and its residents? Ben tries to find answers, but is she the one in danger? The Well of Ice by Andrea Carter was published by Constable / Little Brown in paperback on 12 April 2018. My thanks to the publisher who sent my copy for review. 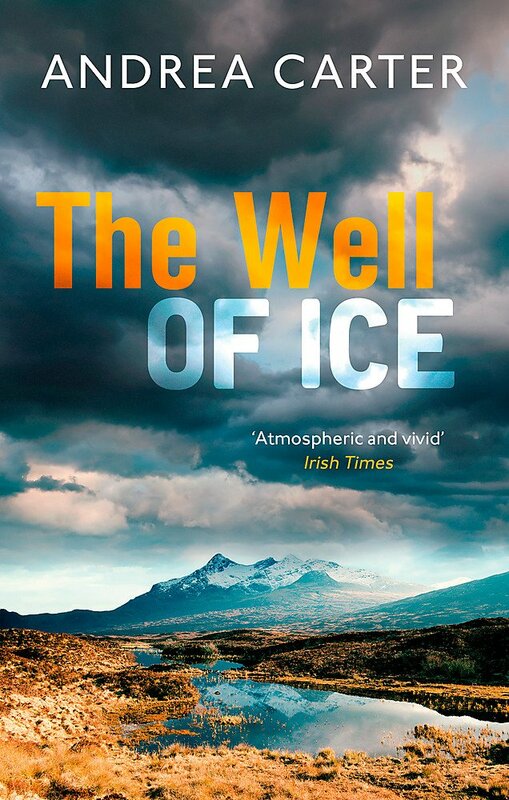 The Well of Ice is the third in the Inishowen Mystery series. I haven't read the first two but when I read about the Donegal setting, I just knew that I had to read this. My Mother is from County Donegal and I spent every summer there as a child. For me, Donegal is home and I do love to read books set in places that I love. Despite the fact that I'd not read the previous two novels, I was soon totally gripped by this one. Andrea Carter's writing is excellent and her characters are superbly created. The author cleverly gives enough of the back story for new readers to be able to follow her plot easily. Ben (Benedicta) O'Keefe is a solicitor in Glendara, she's recently started a relationship with local Policeman Tom Molloy. It's almost Christmas and Ben is working flat out, hoping for a quiet and peaceful seasonal break. Ben isn't going to get what she wishes for though. Whilst visiting family in Dublin she is shocked to bump into Luke Kirby. Kirby was serving a prison sentence for killing Ben's sister and she's amazed to see him walking the streets, she's even more amazed when he appears to be sorry for what he's done. Things are no quieter at home in Glendara; when Ben returns, she finds the local pub has burnt to the ground and the barmaid is missing. Andrea Carter really gives her readers such a treat, and The Well of Ice is gripping, clever and almost impossible to put down. The intricately detailed plot and the evocative descriptions of the area are quite wonderful and the tension increases as the story unfolds. There's no extreme violence and nothing graphic in this story, it's more than a cosy crime though and the author is clearly extremely talented. Needless to say, I've now bought the other books in the Inishowen Mystery series and am very much looking forward to reading them. Ben O'Keefe is an excellent lead character and Glendara is a brilliantly created setting. Andrea Carter grew up in Laois, studied law at Trinity College Dublin and worked as a solicitor on the Inishowen Peninsula, Co Donegal where she ran the most northerly solicitor's practice in the country. In 2006 she moved to Dublin to practice as a barrister before turning to write crime novels. When part-time teacher Ollie Clay panic-buys a rundown house in the outskirts of Leeds, he soon recognises his mistake. His new neighbour, Chas Walker, is an antisocial thug, and Ollie's suspicions raise links to a local hate group. With Ollie's life unravelling rapidly, he feels his choices dwindling: his situation is intolerable and only standing up to Chas can change it. But Ollie has his own history of violence, and increasingly, his own secrets to hide; and Chas may be more than the mindless yob he appears to be. As their conflict spills over into the wider world, Ollie will come to learn that there are worse problems in life than one bad neighbour. 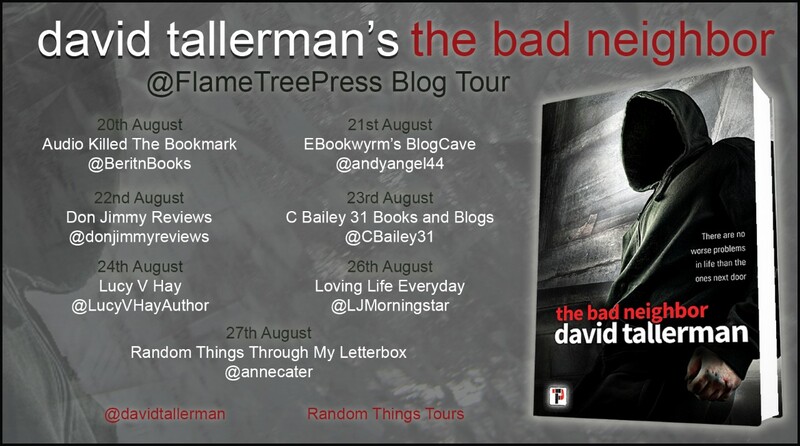 The Bad Neighbor by David Tallerman is published in paperback on 6 September 2018 by Flame Tree Press. For my money the single greatest thriller ever written, and certainly the one that's had most influence on me personally as a writer, Rogue Male has a premise so simple that you can sum it up in a handful of words and yet milks every last drop of tension from it, in a narrative that constricts like a winding spring. Household may not have invented the "man on the run" subgenre, but he perfected it, and though he'd go on to craft other fine thrillers on similar principles, he never equalled his first attempt. 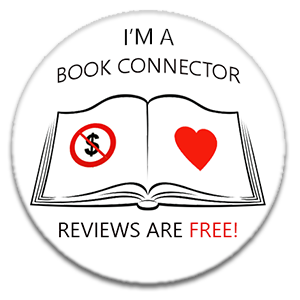 I did quite a bit of research for The Bad Neighbour, most of it True Crime, and some of what I read proved useful, some of it was entertaining, but only one book was both of those and also genuinely well written. 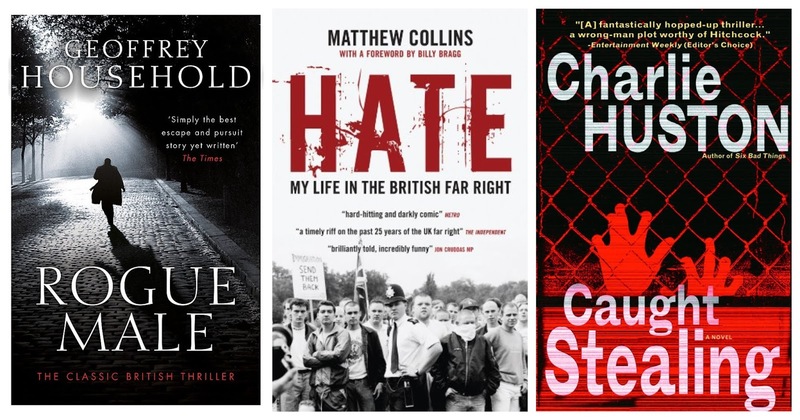 Hate is Collins' account of his time as a far-right thug, written after he discovered the error of his ways and switched sides, and it's a window into a subculture that gets talked about a great deal without much actual understanding. What comes over most is the pettiness, the seediness, and a sense of real desperation, from people who've found that they'd rather be part of something hateful and miserable than of nothing at all. That insight was a major ingredient when it came time to write about my own right-wing thugs, and in particular the titular bad neighbour Chas. 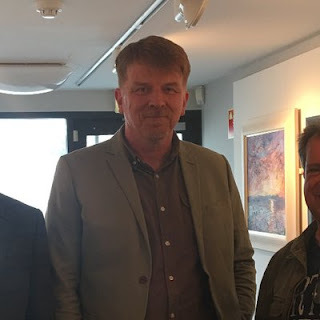 Of modern writers, Charlie Huston is perhaps the one who's influenced me most, not only stylistically but in the risks he's taken by hopping between genres and media. Certainly, Huston - and this book especially, a "wrong man" thriller easily worthy of Hitchcock - was a massive influence when it came to writing The Bad Neighbour. Huston is a master at what I was constantly trying to nail, that balance between convincing realistic detail and larger-than-life action, and the seamless transitioning between the two. And he has an extraordinary ability to keep you on side with protagonists who frequently end up doing terrible things, which is something else I always seem to find myself attempting. Pratchett was my favourite author throughout my teenage years, and no end of his books are completely wonderful, so picking Wyrd Sisters is rather an arbitrary choice. Still, it's a terrific read, and for me the first of Pratchett's truly great works. There were so many things that made him special as a writer, but what seperated him for me was that he told consistently funny stories that were always far more than just hooks to hang jokes off. Pratchett taught me that you can add humour without letting it derail your storytelling, and I suspect he's the reason it's been an element of so much of what I've written. be a huge eye opener. It's a clear, honest, generous, often heart-breaking perspective on countries that, the way Burke tells it, are vastly more notable for their diversity then their uniformity - including some that we tend to see only as rubble-strewn images on the news. I love a really vicious bit of satire, and Catch-22 or Slaughterhouse 5 could easily have cropped up here, but I thought I'd go with something a bit more obscure. Bear V Shark tells the tale of a world much like our own - indeed, frighteningly, shockingly, embarrassingly similar to our own - but with one crucial difference: America's biggest entertainment spectacle and most fundamental philosophical question is "Who would win if a bear got in a fight with a shark?" 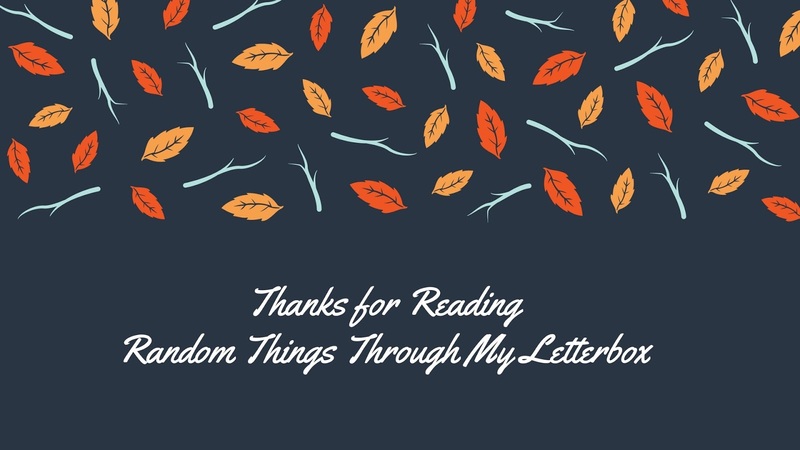 Around that premise, Bachelder weaves a book that takes potshots at just about every aspect of our society and culture, including itself, while also being desperately weird and funny. My favourite science-fiction novel bar none, from my favourite science-fiction author of all time, I'm still always surprised when I go back to The War of the Worlds and discover how fresh and thrilling and shocking it is, well over a century after it was written. I don't often reread books, because there are so many to get through and so little time, but this one I've been back to three or four times, and I can't imagine ever growing bored of it. It's a staggering imaginative achievement, its journalistic intensity so convincing that it feels more like a document torn from some alternate history than a work of fiction. Probably my favourite novel of all time, the way Barker interweaves real events - essentially war poet Siegfried Sassoon's treatment by army psychologist W. H. R. Rivers - with imagined scenes and characters is absolutely faultless. It certainly helps that both Sassoon and Rivers were fascinating individuals in their own rights; Rivers' textbook Psychology and Dreams and Sassoon's memoirs could both easily have made this list. But the invented characters are every bit as interesting, and every scene crackles with its own energy. 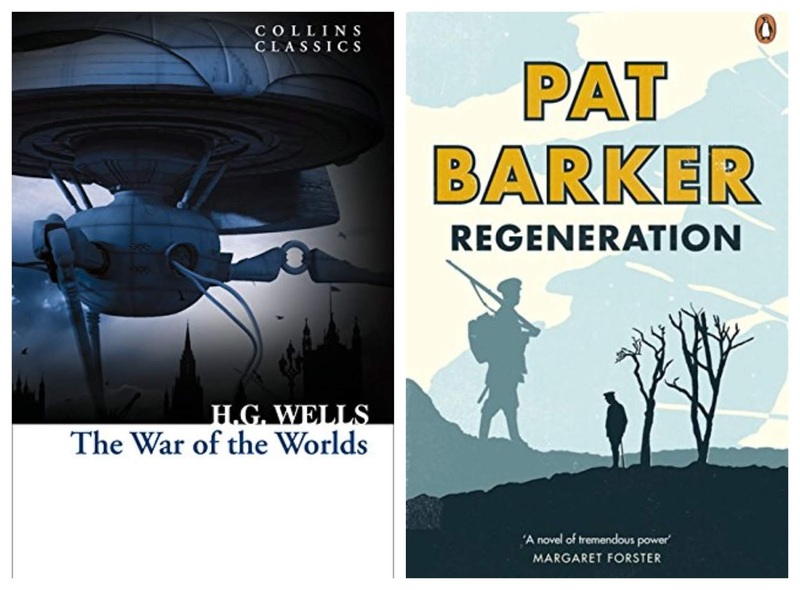 I never really wish I'd written other people's books, because that would rob me of the joy of reading them, but Regeneration is the sort of book that I come away from hoping that I'll one day write something even half as good. David Tallerman is the author of the Digital Fiction Publishing fantasy adventure series The Black River Chronicles, so far comprised of Level One and The Ursvaal Exchange, as well as the novel Giant Thief (described by Fantasy Faction as "one of the finest débuts of 2012") and its sequels Crown Thief and Prince Thief, all published through Angry Robot. 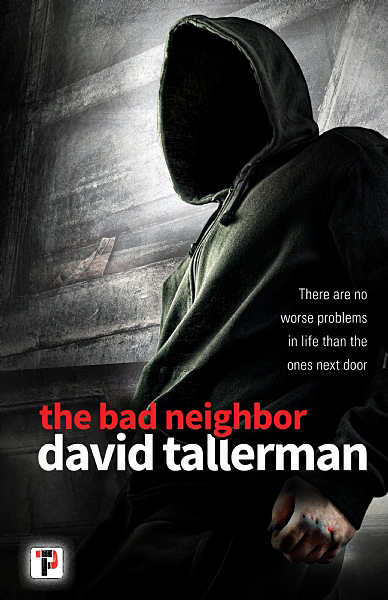 His crime debut The Bad Neighbour is forthcoming fromFlame Tree Publishing in late 2018. David has also written the Markosia graphic novelEndangered Weapon B: Mechanimal Science and theTor.com novella Patchwerk, as well as around a hundred short stories, which have appeared in markets such asClarkesworld, Lightspeed, Beneath Ceaseless Skies and his debut collection The Sign in the Moonlight and Other Stories. The first issue of comic book mini-series C21st Gods is out now from Rosarium. In his spare time, David watches inordinate numbers of movies, hikes, plays board games, and helps in the ethical submission, capture, and resettlement of troveless dragons. The past is a dangerous place. Craig McIntyre s mere presence removes people s inhibitions and turns their darkest thoughts into actions. As Craig McIntyre tries to escape bounty hunters from the Dark Web, he discovers that his details are linked to a clandestine government project. Might it hold answers to his past as well as dangers for the present? Back on the run in North America, McIntyre hooks up with some unlikely allies. But can he trust them any more than those who want to use him to shape the future...and to further their personal ambitions? Have those behind Factor really given up on their pursuit of him? Or is McIntyre being reeled in with some politically toxic bait? McIntyre is the key to an explosive secret that could change mankind forever. This is the book that sparked my interest in writing. Prior to reading The Fog I was into Tom Swift, the Hardy Boys (even Nancy Drew), etc. It was my grandmother who, because I was too lazy to get off my backside, walked to the library one Saturday morning and brought me back The Fog. She didn’t know what it was about and that’s probably just as well. In essence an earthquake releases a fog that turns anyone it touches into a homicidal killer. Not quite what I had been used to. I loved it. piece of work - and kills those that get in its way. But the real story is of the trial and tribulations of growing up in small town America. This is my sci-fi side coming out. This is a classic ‘first contact with aliens’ book. It’s a monster at nearly 180,000 words – and that was after they cut 60,000 words from the original draft. This is space opera in the best possible sense – pure escapism. This was a school reading book and the idea of classic Russian literature was not welcomed by my class. That soon changed. This book is a work of art. Ivan is serving time in a Siberian prison camp for ‘spying’ and the book tracks one day in his life and details what Ivan needs to do to survive. The insights into Ivan’s world (remember that Solzhenitsyn had served time in just such a camp) are wonderful. to defeat the aliens. I’ve read this book at least 6 times – and will read it again. Why? Just because. An epic tale told from multiple viewpoints but the real meat for me is in the Charlie Croker story, a real estate mogul in the American south who has overstretched himself with a new build and is going bankrupt. At 742 pages it’s classic Wolfe charting the self-destruction that people bring on themselves. bunking of classic American myths e.g. Paul Revere never made it to Concord on his famous ride, he was stopped by the Brits before he could get there and the Puritans, despite their reputation, had just as much fun as anyone else. Sci-fi fun where people live on the outside of a cylinder floating in the sky. Axxter, our hero, lives on the horizontal top (where it is safe – because you can’t fall off) but decides to take to the vertical side for adventure. I adore the imagination of Jeter in this book. Old school action adventure set on the south west coast of Africa about a secret Nazi nuclear submarine – amongst other things. I’ve got lost on this treacherous, sand shifting coast more than once. As a side bar, Geoffrey also wrote Per Fine Ounce, a James Bond book that was rejected - only 14 pages still exist with his son. I had the joy of meeting Willie on a few occasions – and this book, often cited as the birth of Tartan Noir, makes me realise how far I have still got to go to be a good author – the word craft is astounding. If you want to know why I like these books all you need to know is that I’m a ‘fact nut’ and, anyway, how could you not like books called – ‘Why Don’t Penguins Feet Freeze’, ‘Does Anything Eat Wasps’, ‘Do Polar Bears Get Lonely’, ‘Why Can’t Elephants Jump’, ‘Why Are Orangutans Orange’ or ‘How Long is Now’. 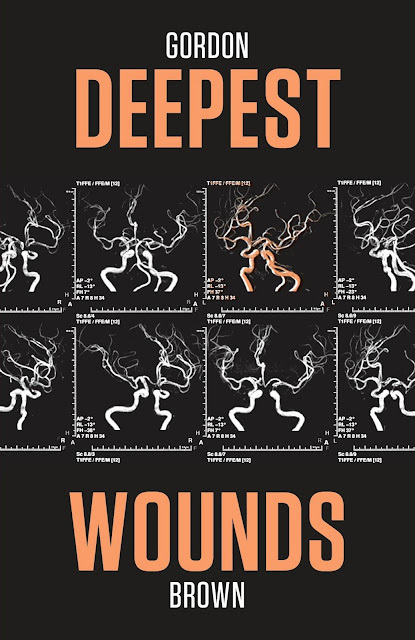 Gordon has been writing since his teens and has six crime thrillers published – his latest, Deepest Wounds, being the third in the Craig McIntyre series, is out now. 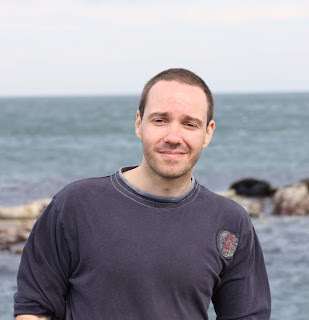 Gordon helped found Bloody Scotland – Scotland’s International Crime Writing Festival and lives in Scotland. He’s married with two children. Gordon once quit his job in London to fly across the Atlantic to be with his future wife. He has also delivered pizzas in Toronto, sold non alcoholic beer in the Middle East, launched a creativity training business called Brain Juice and floated a high tech company on the London Stock Exchange. He almost had a toy launched by a major toy company, has an MBA, loves music, is a DJ on local radio, compered the main stage at a two-day music festival and was once booed by 49,000 people while on the pitch at a major football Cup Final.